Step inside the past and read the letters of Good Queen Bess. Watch her transform from a convicted Princess to a Powerful Queen. Heed the advice of the Virgin Queen as you tap on the plates and decor. The College of North West London is one of London's largest general further education colleges. This public sandbox is open to all residents of Second Life for building and scripting on the ground or in the sky. Help is always on hand from staff and general build information is located around the sand box. Whole Brain Health on Inspiration Island, a partner of Rockcliffe Univ, provides information and offers regular activities that helps you stay fit, have fun, and stretch your mind, body and spirit! Earn honors and L$ rewards by solving quests and hunts. Make new friends in this diverse, innovative and caring community. 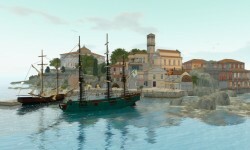 Operated as an immersive education experiment by Brown University, this fictional but historically-inspired 18th-century Italian island is located in the Bay of Naples. Visitors are welcome for optional roleplay set in the year 1785. Public programs and exhibits are offered on the history and ideas of the Enlightenment, the era of the Grand Tour, and the baroque, rococo and neo-classical styles in art and music. 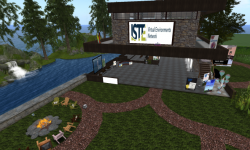 The International Society for Technology in Education's Virtual Environments Network meets regularly for planning, exploring, socializing and more at this Eduisland HQ. Visit often, especially on Tuesday evenings at 5 p.m. (Pacific). 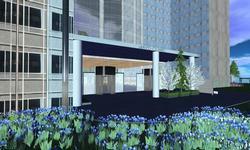 The Mayo Clinic's island in Second Life includes conference facilities and a bookstore. The not-for-profit medical practice holds regular talks and events on diseases and illnesses for interested Residents. Take an automated tour of the classes and interactive features within the University of Delaware in Second Life. This estate in Second Life supports a wide range of educational activities, including simulations in accident investigation, psychology, business ethics and financial accounting. 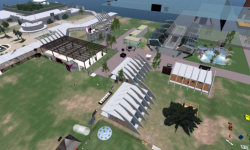 The MA runs entirely in SL, which includes tutorials, building and scripting workshops and social activities with our students from around the world. The Science Circle is an alliance of scientists, educators and entrepreneurs. 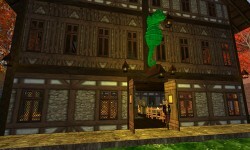 They gather twice a month with their student groups in SecondLife for field trips and presentations. For more information, be sure to visit http://sciencecircle.org/. Educators at the Arkansas State University use Second Life to instruct students and lead discussions. Students and anyone interested in learning more are welcome to visit. Read more at http://pdx.be/a018.